The café, whose name gives a nod to the adjacent landmark bookstore, has a rich history in town. Grab a book from upstairs and settle in to enjoy this local gem that celebrities like Woody Harrelson, Frances McDormand and Peter Dinklage all discovered while in town. The cafe provides many menu items that are locally sourced and organically produced and has a variety of gluten-free, vegan and vegetarian options. Be sure to try one of their infamous savory or sweet crepes, such as the Chicken Crepedilla, a menu favorite. 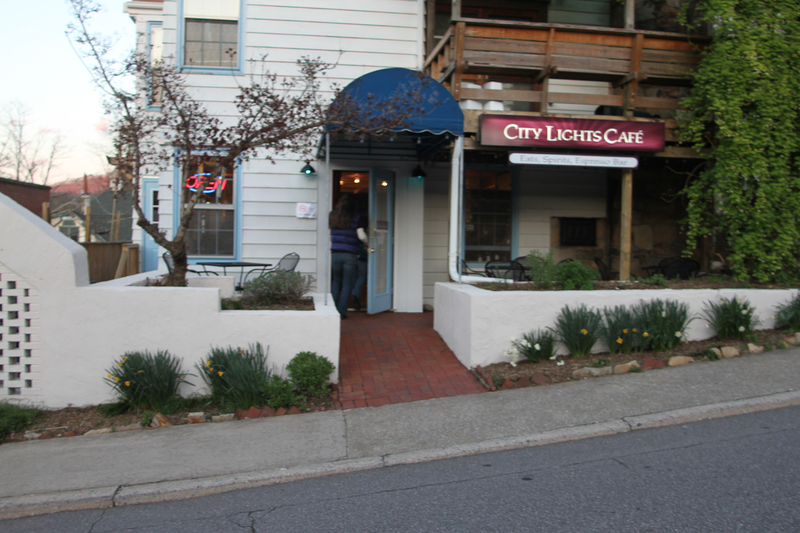 The restaurant has a 22-seat, dog-friendly outdoor patio, and serves as the place for artists and writers to gather. The Café hosts several rotating events, such as an Open Mic night, live music, rotating art shows, literary events and even Yappy Hours with pets on the patio. Our mission is to provide tasty, quick and healthy food for breakfast, lunch and dinner, plus create a community space for folks to hang out and enjoy live music, local art, free wi-fi and a comfy environment. We sell wine by the glass and bottle, bottled craft beer and have 11 local tap beers for you to try in a flight, by the pint or we sell and/or refill growlers for you to take home. We are known for our smooth Cold Brew Coffee, variety of Latte Flavors and tasty fresh espresso. If you are in or around Sylva, NC, come join us for awesome food, drink and company!